What is Modern Monetary Theory (MMT) and what are the policy implications? PIMCO experts explain what a paradigm shift from monetary policy toward fiscal policy means for global economies. Olivia Albrecht: Hi, I’m Olivia Albrecht, and I’m joined by my colleagues, Scott Mather and Joachim Fels. So Joachim, first brief us on what is MMT, and then we can get into what that means for policy. Joachim Fels: Yeah, Olivia. Well, this MMT stuff sounds quite wacky if you’ve been brought up with the standard text books, the standard economic text books. However, I think it's not all utter nonsense, as some of—or actually many—mainstream economists are saying. Why is that? Well, what is MMT? I’m simplifying here, but I would say there are three key propositions in that theory. The first one is that fiscal, rather than monetary, policy should be the main tool to steer the economy to aim at full employment and to control inflation. So that's, by the way, why MMT—Modern Monetary Theory—is a misnomer. It should really be called modern fiscal theory, right? And some people also say this is actually not modern. These are all old ideas from the 1940s and 1950s, early Keynesian. But the basic idea is that fiscal policy should vary spending and deficit levels to achieve full employment. So if there's slack in the economy, you just spend more. And you let the deficit rise. And conversely, if there is over-employment and if inflation is showing up, then you should have contractionary fiscal policy. That's the first proposition. The second proposition is that, well, don't worry about a debt crisis. Because MMT says this fiscal policy should be financed directly by the printing press. So the way this works is the government doesn't issue bonds to the market—to the public—but the government just goes to the central bank and uses an overdraft facility on its bank account with the fed, right? And by the way, the interest rate on that should be zero, according to the proponents. So what happens is, the money supply goes up, as fiscal policy becomes more expansionary. The money supply goes down, the fiscal policy becomes contractionary. And therefore, the MMT people say the government cannot default because we are in a fiat currency system. We are indebted in our currency. And then thirdly, there are a few other elements to MMT. So they want a job guarantee for people, a government issuing a job guarantee during downturns. And there's also a proposal to break up monopolies in order to keep inflation low. So these are the key propositions. So the way I would characterize it is MMT puts the traditional division of labor between the government and the central bank on its head. In our current system, the fed is responsible for full employment and keeping inflation stable. And the government is responsible for being solvent. And you just turn this on the head with MMT. The government becomes responsible for full employment and stable inflation. And the central bank's job is to keep the government solvent. Olivia Albrecht: Okay. So let's take it from theory to practice. What does this mean? Does this imply that economies are going to be heavily supported by fiscal policy as a consequence of this kind of new/old theory? 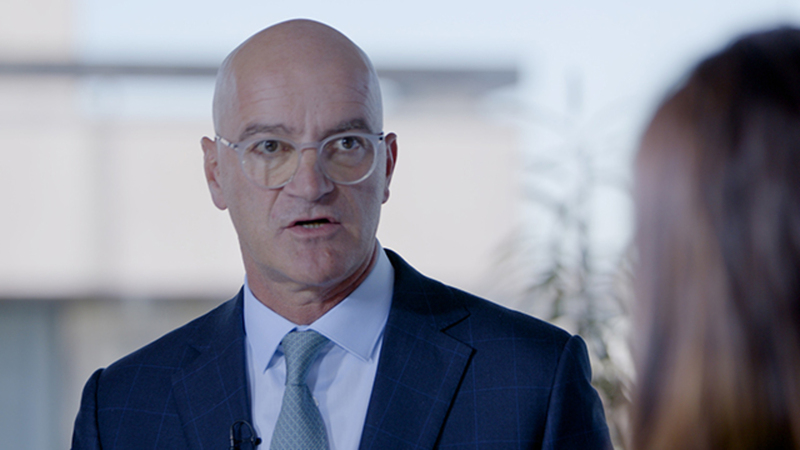 Joachim Fels: Well, I mean first of all, I think MMT is unlikely to become a reality anytime soon, right? At least not in this form. But I think this MMT discussion and also other debates that are going on between mainstream economists, they all indicate that the paradigm is shifting towards fiscal policy becoming a more active tool. Basically, fiscal policy helping the central bank to achieve its goals. I mean, what's happened over the past 10-20 years is that government's really left it to central banks to deal with all the issues out there. And so in a way you could say it's a good development that there is a recognition that government should actually become more active in terms of fiscal policy. And in times of low interest rates, if we're flatlining at the new neutral, that may seem like a very attractive proposition. Scott Mather: And it's already playing out. I mean, certainly the willingness to break the old fiscal rules, if you will, some explicit rules in the case of Europe, what you see France and Italy doing, for instance. And then in the US, late stage fiscal expansion. There's not many other good points in time where you could find examples of that. So there's a sign that things have already shifted. Certainly, a willingness to experiment with fiscal policy in new ways. Olivia Albrecht: Thank you so much—both of you—for your insights today. All investments contain risk and may lose value. Statements concerning financial market trends or portfolio strategies are based on current market conditions, which will fluctuate. There is no guarantee that these investment strategies will work under all market conditions or are suitable for all investors and each investor should evaluate their ability to invest for the long term, especially during periods of downturn in the market. Outlook and strategies are subject to change without notice. Forecasts, estimates and certain information contained herein are based upon proprietary research and should not be interpreted as investment advice, as an offer or solicitation, nor as the purchase or sale of any financial instrument. Forecasts and estimates have certain inherent limitations, and unlike an actual performance record, do not reflect actual trading, liquidity constraints, fees, and/or other costs. In addition, references to future results should not be construed as an estimate or promise of results that a client portfolio may achieve. This material contains the current opinions of the manager and such opinions are subject to change without notice. This material is distributed for informational purposes only and should not be considered as investment advice or a recommendation of any particular security, strategy or investment product. Information contained herein has been obtained from sources believed to be reliable, but not guaranteed. 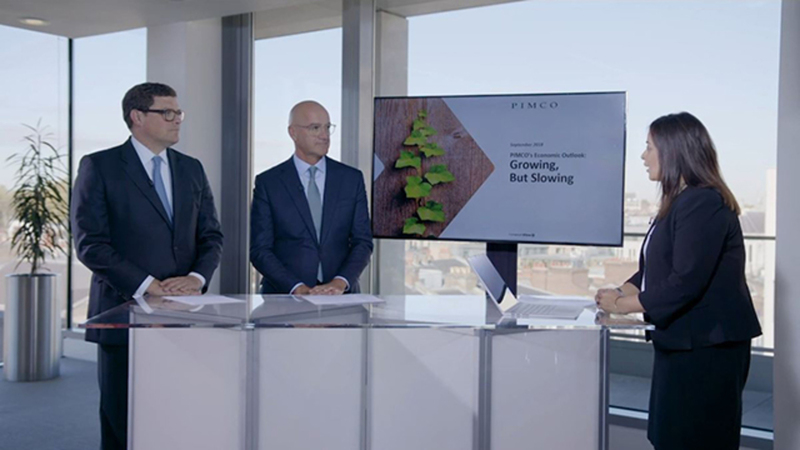 PIMCO experts answer top-of-mind investor questions, including the likelihood of a near-term recession, whether risk assets may have more room to rally and the prospect of shrinking margins. The Fed’s dovish pivot in March indicated that restrictive monetary policy is no longer warranted, but what does that mean for the markets? 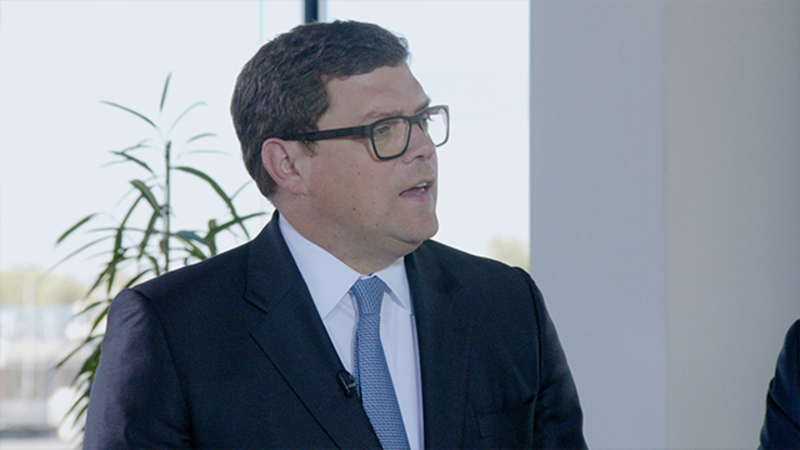 PIMCO experts Tiffany Wilding and Joachim Fels discuss this policy shift and what investors should know. Time to Give Credit Its Due? Now may be a good time to consider high-quality segments of the credit sector. CIO U.S. Core Strategies Scott Mather explains the credits we favor – including agency mortgages and structured credit. Learn more about how PIMCO is investing in global non-profit organizations that are tackling the essential challenges facing girls and women today. To take advantage of increasing market volatility, investors need to be patient, defensive and flexible. Group CIO Dan Ivascyn explains.